This more new broke out, reported by Elecktrek that "First Tesla Model 3 vehicles arrive in China and Dubai." At first it got the Tesla investors and fans excited in the 2018 Investor Roundtable discussion at TeslaMotorsClub, but soon they realized that these are second-hand cars appearing in Chinese and Dubai Market. "Unfortunately these are imported second hand US Model 3's. The title had me going for 5 seconds until I read it," commented Jee Wee under the discussion. According to Electrek "Resellers are buying Model 3 vehicles on the used market in the US and importing them in Europe in order to turn a profit. In other cases, reservation holders with US addresses have been able to take delivery in the US and then import the vehicle themselves in other countries. 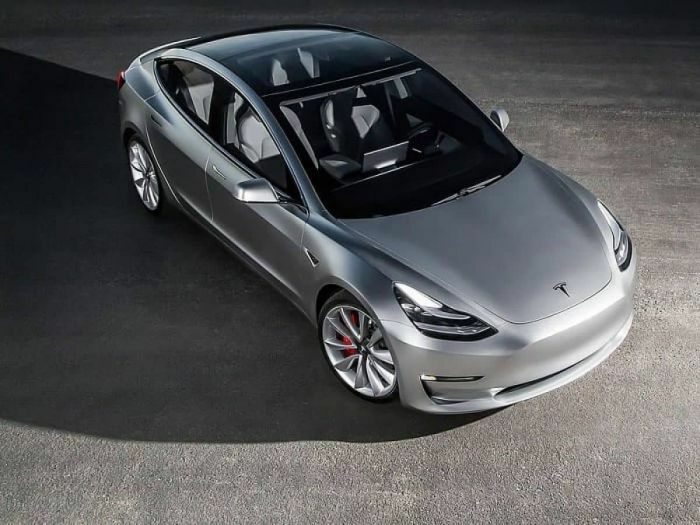 It results in the Model 3 reaching new markets months ahead of its planned launch." Now Electrek has learned of "the first Model 3 vehicles arriving in China and in Dubai in the past few days. The first Model 3 in China arrived late last month and it was delivered to a long time Tesla owner." Tesla expects to operate a factory in China no earlier than 2019. It expects that the Tesla's Chinese factory will focus on Model Y and Model 3 cars. Tesla has received approval from the Shanghai municipal government to operate a factory in the country’s free-trade zone. It would be the first time a foreign auto maker has been given the green light to own a factory within the country without having to partner with a local manufacturer, last year reported Teslarati. However, in light of the latest trade war fears between China and USA, I don't know what the financials of that agreement between Tesla and the Shanghai municipality will look like. Under the same discussion TeslaMotorsClub, one active member, named Reciprociy offered an interesting insight including the math of Tesla's entrance to China. We quote it here with our readers. I would not be surprised to see Tesla announce a deal or a strategy that would get them through the tariff issue unscathed. First off, these are announced tariffs and not tariffs in place. They could very well be a face saving tactic just before real negotiations start. Second, Tesla could redirect every single S/X to China to get them in under the tariffs if it takes some time for them to get enacted. Third, Tesla should already be targeting the US for the bulk of sales starting July 1st due to the phase out of the Fed Tax Credits (production would start well in advance of that as Tesla bulks up inventory in anticipation). The HK market just reopened and should offset some losses in China in the very short term. This should all be resolved for Tesla with a factory deal in China or a relaxation of trade war tensions. The points holding up the Tesla factory are the same being fought over in the "trade war". To be clear, a trade war would benefit no one, but could eventually end up benefiting Tesla more then almost anyone. I think the timing of this issue could have been better.. if it was say in 2 months instead of today, I would have zero concern. With Tesla trying to divert some of its demand to all places outside the US (to delay 200,000th US delivery), having China as an option would have been preferable, but not a killer. I think last year, China was 17% of sales, but with Model 3, China is going to shrink closer to 12% as the Model 3 ramps. Lets not forget that Tesla just sent a giant shipload to China a few weeks back. They should get into customers hands before any tariffs are enacted. Lets do some quick math. We are talking about 2/3rds of a quarter here so 2 months. Tesla delivers 100,000 S/X a year. 17% of that, divided by 12 months is 1417ish cars. So Tesla would need to find a home for about 2800 S/X minus whatever they can get in under the tariffs over the next couple of weeks. Remember that the theory is that Tesla would be redirecting Q2 deliveries outside the US, but by July 1st, they would want to have a full inventory of US cars to hammer through the final 2 full Qtrs of $7500 Fed credits in the US. Can Europe and HK take on these orders. We know that Teslas can now be sold in Germany with incentives but we lost Canada recently for S/X. Is the Saudi prince going to buy 2000 Tesla's this week when he meets with Elon? It is a lot of Vehicles to redirect but hopefully, Tesla will have already stuffed the Chinese market with the recent shipments and hopefully those cars are in under the wire. But the Chinese EV market is no sitting idle. Hardly anyone knows China's fifth largest carmaker, but Guangzhou Automobile Group (GAC) with its electric cars would compete with Tesla, Nissan and European car manufacturers. Earlier in 2018, this new Tesla challenger from China caused a stir at the Detroit auto show. See how similar it is to Model X and how impressive it looks with it's own version of falcon doors. How much do you think Tesla's entrance into the Chinese market help the company to come out of its current risky situation as the company lost more than 25 percent of it's stock price? Please, let us know your opinion in the comments section below for discussion. By the way, it looks like Tesla will soon unveil a new product: its own version to tequila named Teslaquila. Update: This morning Dow plummeted 500 points after China announced new tariffs. Tell me how this will affect Tesla's upcoming business in China, please.